The Belarusian president recently mentioned "militants' camp" in Ukraine. Ukrainian President Petro Poroshenko and his Belarusian counterpart Alyaksandr Lukashenka had a phone conversation to discuss the current status of bilateral relations and prospects for their development. According to Poroshenko's website, they discussed agreements reached by the intergovernmental commission on trade cooperation in the end of 2016. The presidents agreed to boost bilateral political dialogue. The presidents' conversation took place after Lukashenka's recent remarks on the detention of "militants" who were allegedly preparing an "armed provocation". According to him, money for them came from Poland and Lithuania and they were trained in "camps", including in Ukraine. 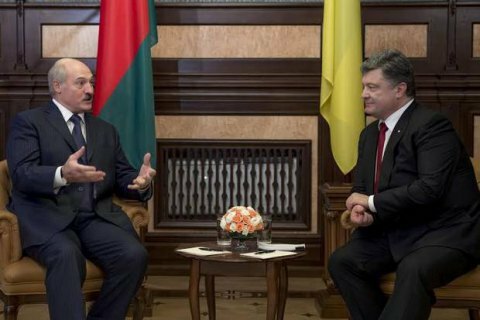 The Security Service of Ukraine sent an inquiry to Belarus about Lukashenka's statement. The Ukrainian Foreign Ministry said that his allegations were wrong and provocative. "There is such a job as protection from Russia"